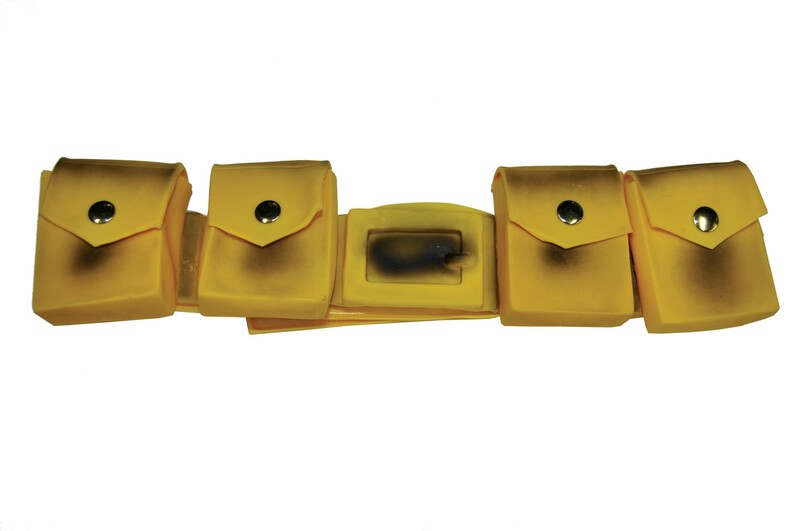 A Batman Utility belt with lots of yellow pockets. Velcro closure of the belt allows for easy fit on adults or children. Remember the other Batman accessories: Grappling Hook and Bat-A-Rang. Fits waist size 26 inches to 36 inches. Can be worn by Adults or Children. This is an officially licensed Batman product.